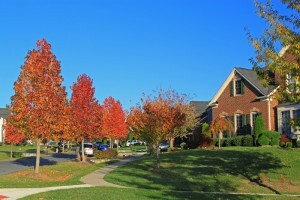 There are many homes, priced between $450k – $600k, which are situated in Columbia, Maryland, a community consistently ranked by Money Magazine’s Best Places to live in America. HERE'S THE HOME YOU'VE BEEN WAITING FOR IN BEAVERBROOK!! Expansive, private, freshly landscaped yard filled with mature trees, a playground equipment, spring colors in bloom, and NO CPRA FEES! A four-level split level home with great flow and visibility to most rooms and outdoor space from the open concept kitchen. Includes a 2-car garage with additional built-in storage room. 4 Bedroom, 3 Bath home with an open floor plan kitchen, living room and dining room overlooking a screened-in porch and deck. Fresh paint and carpet in most rooms. Upgrades include a new roof, gutters and gutter guards (2017), a new driveway with attached glass backboard basketball hoop (2017), a new oil furnace (2015) and a new energy/cost-efficient wood-burning stove (2014). Kitchen and bath upgrades include ~soft close~ maple cabinets, stainless steel appliances, in-ceiling speakers (also on deck), and a whirlpool jetted tub in master bath. Enjoying walking, running, or biking to Centennial Lake, Wilde Lake, and Lake Kittamaqundi from your doorstep via the Columbia path system, or just stroll through the beautiful Beaverbrook community's quiet streets. Close to community pools, neighborhood schools, parks and easy commuting options (Rt. 108 and Rt. 29).